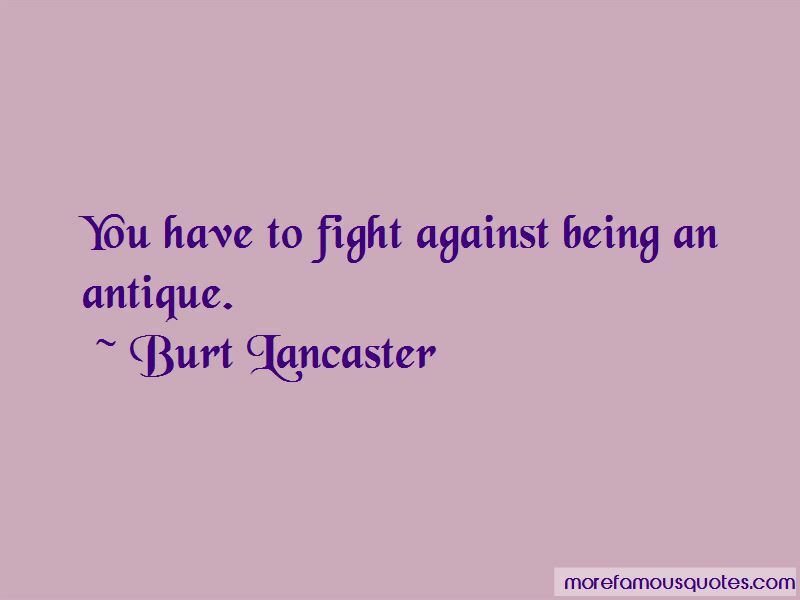 Enjoy the top 30 famous quotes, sayings and quotations by Burt Lancaster. 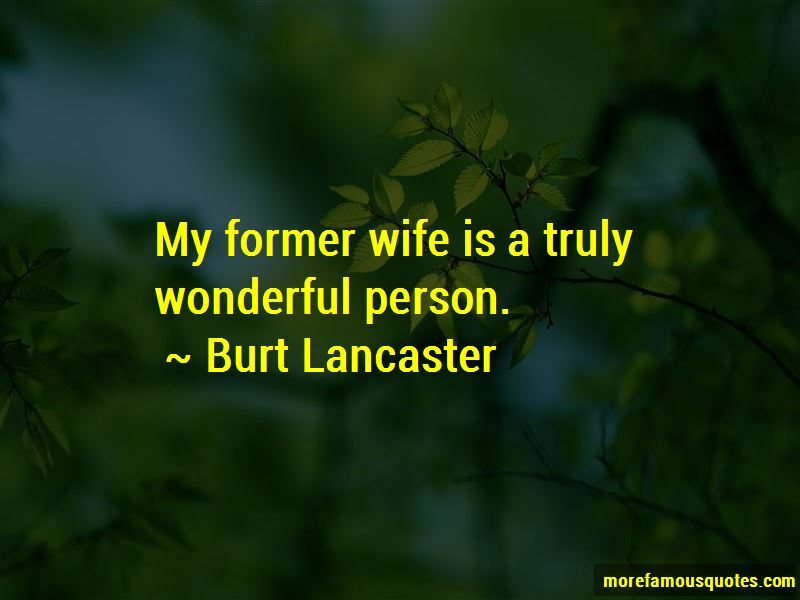 My former wife is a truly wonderful person. I judge a restaurant by the bread and by the coffee. I hate looking backward, but every once in a while it sneaks up on you. Sometimes I only succeed in beating myself to death. I have turned down a lot of garbage lately. I believe we should appeal to people at the higher levels. I've always wanted to get an education, and tonight's as good a time as any. The first duty of life is to live. I judge a restaurant by the bread & the coffee. 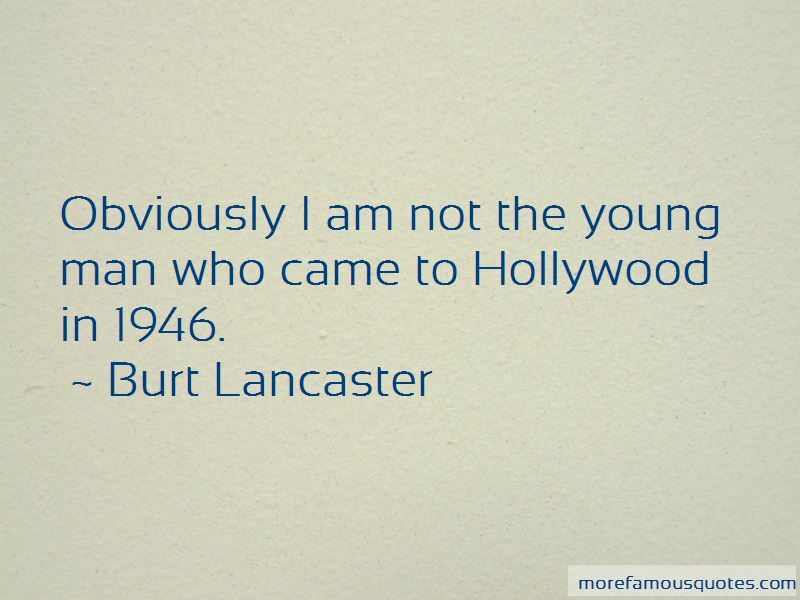 Want to see more pictures of Burt Lancaster quotes? 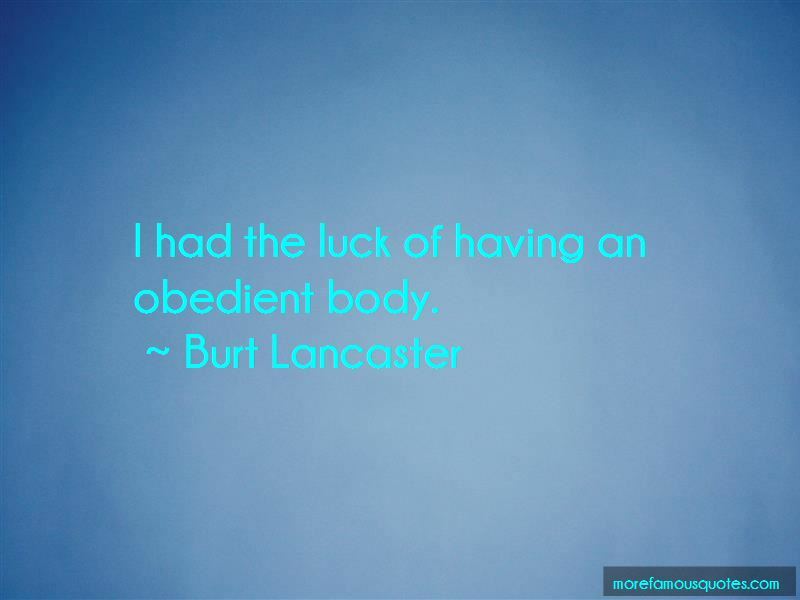 Click on image of Burt Lancaster quotes to view full size.